This powerhouse and best sellingprobiotic supplement includes over 12 of the most important strains of beneficial bacteria and each serving provides 20 Billion friendly micro-organisms. To maximise survival of these micro-organisms, each vegetarian capsule is enteric coated to help passage through harsh stomach acids and into the small instestine. 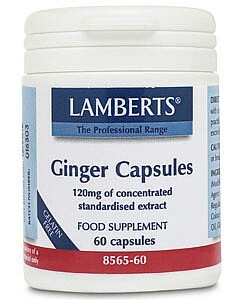 Take 2 capsules daily with a meal or a glass of water. Keep out of reach of children. Women who are pregnant or planning pregnancy should consult their doctor before taking food supplements. Do not exceed recommended daily intake. Do not take within two hours of taking antibiotics. Allergen Advice: Contains Milk & Soya . *No EU RDA has been established for this ingredient. **RDA equals Recommended Daily Allowance. ††Minimum potency at the time of manufacture, per serving.